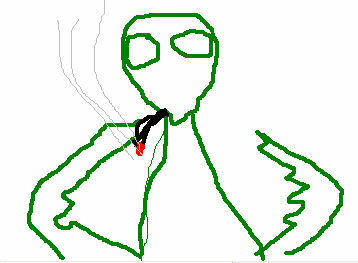 For Manx — a praying mantis smoking a huge joint. I don’t know if the size is big enough to be considered huge, but I really liked how the mantis’ attitude came out. This entry was posted in 60 second doodle. Bookmark the permalink. A praying mantis smoking a huge joint. I would love a t-shirt of this one. $14.00 isn’t much at all!